Definition - What does Vajrapradama Mudra mean? Vajrapradama mudra is a yoga hand gesture believed to build trust and self-confidence. It is one of many hasta (hand) mudras designed to have a positive effect on physical and mental/emotional health. To perform this mudra, the fingers are crossed, or woven together, and placed in front of the chest over the heart center with the thumbs spread apart and pointing toward the collar bones. In yoga, a thunderbolt represents powerful and focused energy, and in Buddhism, it is a weapon against doubt. As a result, vajrapradama mudra suggests confidence, trust and faith in the higher Self. Hasta mudras can be done while seated, prone, standing or even walking, as long as the posture is symmetrical and the body is relaxed. Practicing this mudra in vajrasana (thunderbolt pose) is designed to release hopelessness, mistrust and self-doubt. It is a mudra often practiced during meditation and pranayama. 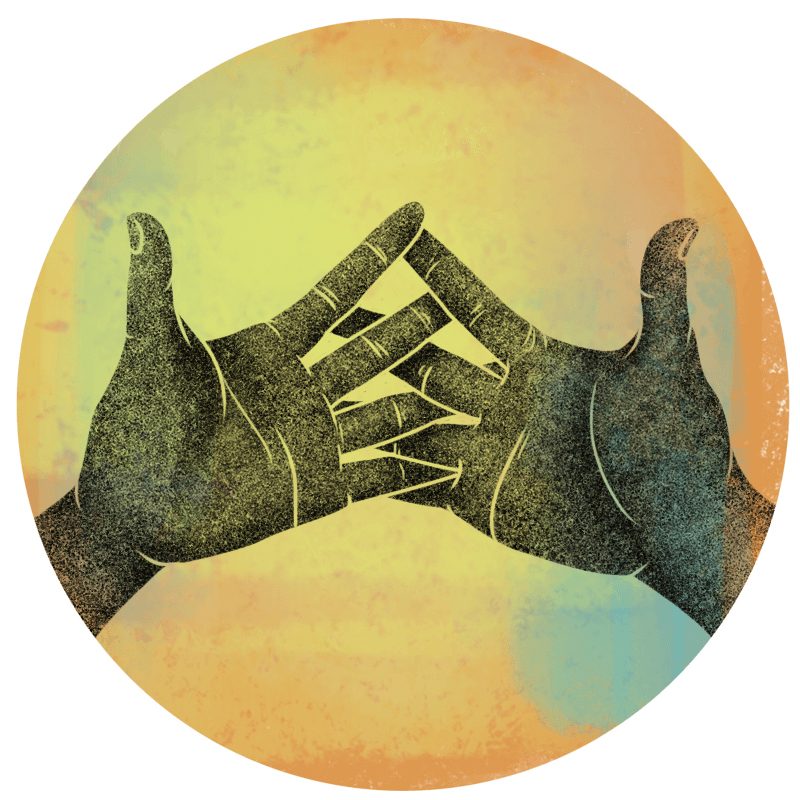 Vajrapradama mudra is thought to build confidence and trust by bringing energy to the heart center, reminding the practitioner of his/her own inner power. This mudra is perfect for when hardships or negativity encroach on one's life and dealing with them seems overwhelming.